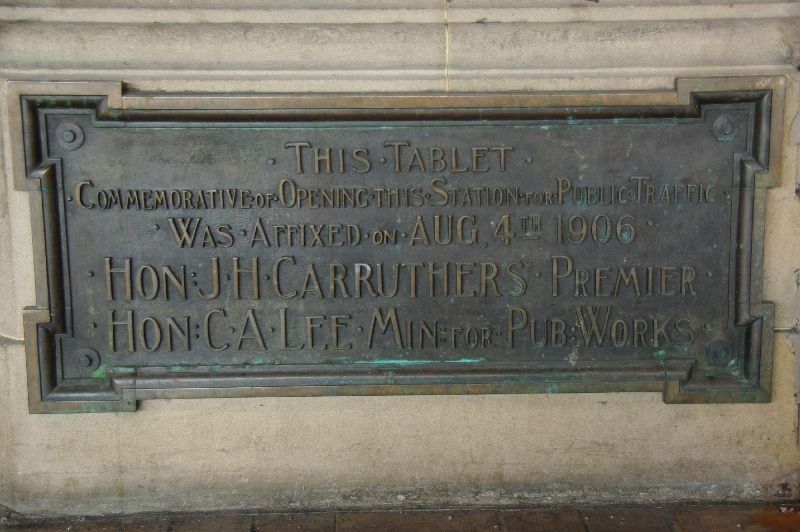 Plaque erected in 1906 commemorates the opening of Central Station in Sydney. 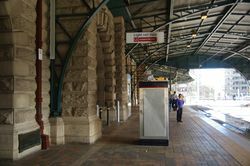 The official opening of the new Sydney Central Railway Station took place yesterday forenoon. The gathering was particularly select, if that word may be regarded as covering an assemblage which consisted almost entirely of Members of the Legislature, highly-placed railway officials, representatives from the Town Hall and the Press. The first ceremony was the opening of the station with the traditional golden key. Mr. C. Oliver, Chief Railway Commissioner, presented to Mr. Carruthers, the Premier, an artistically-designed key. bearing the inscription : "Central Railway Station, Sydney. Opened by the Hon. 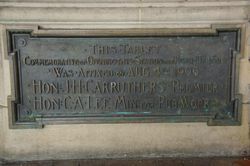 J. H. Carruthers, August 4, 1906." The Premier was also presented with a souvenir ticket for the Sydney to Parramatta special train, the ticket being numbered 000. The company then wended its way to the platform, where the special train was standing, and there Mr. C. A. Lee was presented by Mr. Oliver with a green starting flag and gold whistle, each suitably inscribed. Holding the flag aloft, and blowing the whistle (rather feebly, it must be confessed), Mr. Lee started the train along the same route which the first train run in New South Wales took 51 years ago. Sunday Times (Sydney), 5 August 1906.